Below you will find an amazing letter written by the team at C.U.R.E. connecting the dots for the Southern Baptist Annual Meeting and calling for a Resolution to be passed by Pastors to Stand in the Gap at their annual meeting. You are encouraged to take this letter and use it as a templet to call on your Pastor, Priest or Rabbi to STAND IN THE GAP! 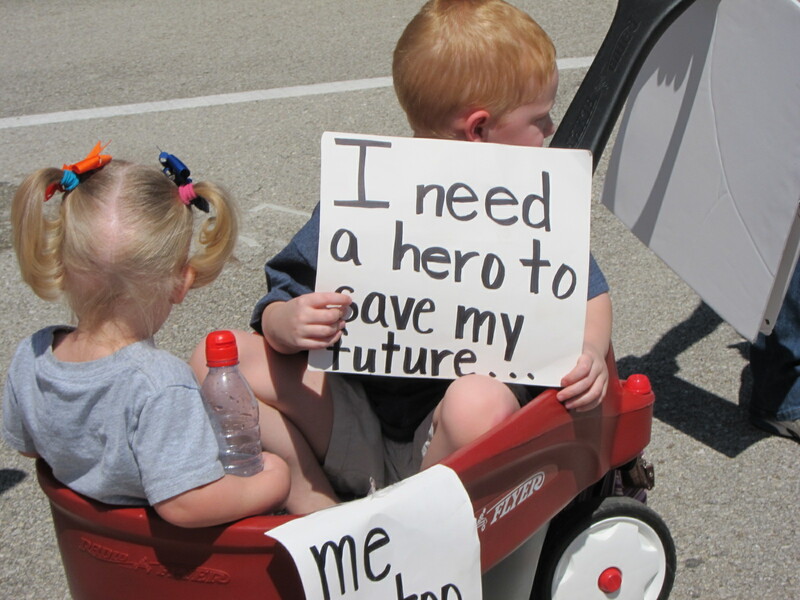 RESOLUTION TITLE: “OUR CHILDREN” GODLY PARENTAL CONTROL vs UNITED NATIONS ‘NEW WORLD ORDER’…. WHAT WOULD GOD WANT?? ARE YOU STANDING IN THE GAP??? Mathew 18:5-6 states: “ And whoever receives and welcomes one little child like this for MY sake and in MY name receives and welcomes ME. Vs6: But whoever causes one of these little ones who believe in and cleave to me to stumble and sin– who entices or hinders him in the right conduct or thought—it would be better for him to have a great millstone fastened around his neck and to be sunk in the depth of the sea. Are you standing in the GAP with God for our children according to God’s charge in Matthew 18:5-6 OR are you the Ones HE is looking for in Ezekiel 22:30 ? Hosea 4: 1 “Hear the Word of the Lord oh children of Israel; for the Lord has a contention with the inhabitants of the land, because there is no faithfulness, kindness, pity and mercy, or Knowledge of God in the Land. As in the days of Hosea, God has a contention with we, HIS believers, because we have lost our Faithfulness to God. We have allowed God to be removed from our lives, our schools, our towns, and Political Correctness and Compromise are ruling our churches; 501-C-3’S ARE THE NEW GOD….Our nation has turned it’s back on God… Our children are lost more and more to the world’s ways each day via technology, destruction of family and values and because we are “too busy” or feel we must compromise to get attendance. Whatever the reason, we have forgotten our charge in His word to put God first in our lives and our nation and to protect and teach the “little ones” our children… Are we truly STANDING IN THE GAP FOR GOD?? Our children are becoming victims of our political system through education…Our education system was never designed by our Founders to destroy our History but to enhance it.. The Old Deluders’ Satan Act was passed in Massachusetts in 1647. It was America’s First Education Act. Teachers were required to teach, not only reading and writing, but the Bible as well.. They wanted to avoid generations of poor and unintelligent people. They made sure that every citizen got enough education to read so that they could and would understand the laws and to be able to read the Bible.. Life in the 1600’s was based on religion. Their laws came from the Bible..
Our Founders equally maintained this focus as, once America was firmly established, our First Congress actually printed the 1st Bible in English to be used as a textbook in schools by teachers.. How far we have strayed.. The Ole’ Deluder Act established the first town school system in America, a system that recognized the importance of the Bible in a civilized society… Not run by the government but by the towns themselves. How far have we strayed as a body of believers from the Word of God and our Founding? How far removed are our children? Today our children have lost their foundations and are no longer rooted in God.. Instead they are rooted in the world because we have failed them.. WE are accountable to God for this. The family unit has been undermined as we passively sit by and watch our children being led to slaughter by the world (the government education system)…”This dismal state of the modern church is not totally the parents fault, although they have their share, but fundamentally this is due to an Evolution concept that has produced anti-God teachers and ungodly curriculums which greatly influence the young minds and Pastors…Because parents are more engrossed in their secular careers today, children spend much more time being brainwashed by indulgent materialism, TV and other technology than in the company of their parents. So what kind of teaching are our children getting? ; over 8 hours ungodly anti-God school, more than 8 hours ungodly violent TV, maybe a few minutes with the parents who have nothing to teach and then to bed; no wonder we have feral kids”…. , Today we have Southern Baptist Minister’s and parents who are having to confront the issue of the Progressive take over of our schools and universities and now they are coming for children ages 3yrs., and Pre-K through 12…Sexual education through Common Core will begin at 5yrs of age. They will be taught, not Godly values but worldly values like LGBT lifestyles and encouraged to participate and embrace these values.. God must be removed from our children in order for this agenda of the Globalists to be achieved…The Boys and Girl Scouts of America, previously God and value based organizations, have now succumbed to the pressures of worldly anti-God values of homosexuality forcing them to open their clubs to this LGBT agenda.. Boys and girls are being encouraged to experiment with these lifestyle choices to promote so called “equality” both in our schools and our organizations.. Today we put before you a list of Charges that we pray you will open your minds and hearts to and help us to reach parents and teachers, leaders, and Pastors around the country to the perils that face our children today..
Common Core Educational Standards are part of a much larger picture which stems from the Sustainability movement that originated in the United Nations, and was brought to the US in 1993 by then President Clinton.. ” Utilizing the global Agenda 21/UNESCO language from the United Nations Agenda for the 21st Century Treaty, which was not ratified under George H.W. Bush, Clinton created, via Executive Order, the “Presidents Council on Sustainable Development” aka “Sustainable America”.. The goals of this program were established years ago by UNESCO (United Nations Educational, Scientific and Cultural Organization)…. These treaties would have given control over the disabled and special needs children and all children to the United Nations… Is this what God intended for our children? Nowhere in these scriptures does God tell us to turn our children over to the United Nations or the Federal Government. Why then are we allowing this to happen without Standing in the Gap for our children? Below are quotes based on UNESCO and their goals for education.. This was done under Julian Huxley’s guidance (Julian Huxley prime mover of UNESCO from 1945. Huxley served as its first director. Huxley also served as the VP of Eugenics Society from 1937-1944…). These quotes are old but the men who wrote them were laying a foundation for how the world should evolve.. UNESCO has not wavered from these attitudes and principles today. In fact, the organization has refined its message and honed in on its purpose..
One obstacle that world government proponents foresee is the patriotic education parents often give their children. John Stormer explains that, under Huxley’s guidance the United Nations prepared a guidebook for teachers.. This guidebook reminds them the “destruction of a child’s love of country and patriotism is the fist step in educating that child for world citizenship”.. Does any of this sound like God’s Word or is this the World’s way and we are being led, like sheep, to the slaughter.????? Will we STAND IN THE GAP and Restore God to HIS rightful Place in our lives, our churches, our homes and our country??? Pastors, you have a responsibility to feed God’s sheep.. it is time to stand and educate and activate from the PULPIT.. The IRS cannot take away your 501-c… they admitted as much when the 1600+ Pastors STOOD and called their bluff.. God tells us in HIS word.. “DO NOT FEAR”.. We must go boldly! Unfortunately, we do not have until the next election cycle to overturn these educational mandates. Time is of the essence.. Even if we did, have our “elected leaders” not led us to the crossroads we find ourselves today? Have they been pillars of truth and virtue?? Hardly! Instead we find ourselves in an unholy democratic society with corrupt leadership that have sold their souls to power, greed and self interest at the expense of this nations governing principles, its citizens and its children. Our so-called leaders have abandoned our Constitution and the Godly principles of this nations founding, so, why would we look to them to solve a problem they created? The laissez-faire approach of our democratic society is even worse for the children have been left void of any righteous references, knowing not what is right and wrong in the Lord, and so the child will grow up following the whims of his heart and this World, which are always evil as the Lord attests in Gen 6:5 and 2Tim3:1-4. Now is the time to sound the alarm to all members of all churches, all ministers and missionaries who serve as watchman (Ezek 33:1-9). Through education, we must alert parents to the perils of the public schools and hopefully encourage them to remove their children from the public education system and encourage them to make alternative choices such as Christian Schools and private homeschooling associations who have not “sold out” and taken the “carrot of compromise—government monies” such as Sylvan learning Centers and Catholic schools.. We have grassroots Professionals in the Education field who are conducting seminars and webinars across the country. 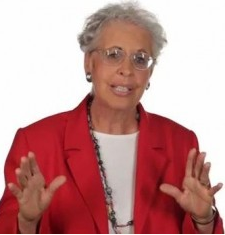 We are developing curriculums using these grassroots educational leaders to educate our children with Basic Math, English, The Constitution and re-introducing the Bible as originally intended..
Federal Funding is tied to “testing” so States will be using “Facilitators” (more like “Enforcers”) to insure that children are taught to a test rather than actual learning. Once again the “carrot” of coercion. In closing, we respectfully submit our Resolution in hopes that God will embolden you to stand with us and be resolute against any and all implementation of the Common Core Standards: No one is immune or will escape it’s control, not even Christian schools, private schools or homeschoolers.. all will be at the mercy of government with total loss of parental rights.. This is the perfect marriage between Big Government and Big Brother; only to benefit the elite at the expense of our nation and our children. There are alternatives and together we Can and MUST explore and implement these alternatives to Government education and bring control back to Parents and their Communities.. We do have options.. Let’s use them…one immediate action is to eliminate the choke hold McGraw Hill and Pearson text book publishers have over what information goes into or is removed from textbooks nationwide. They are working in unison with UNESCO so I’m sure you understand the urgency of this action, as these text publishers will serve Common Core up to our children. . Much information is available on Common Core that we are happy to furnish to you for your education and activation. RESOLUTION: “OUR CHILDREN” GODLY PARENTAL CONTROL vs UNITED NATIONS ‘NEW WORLD ORDER’. WHAT WOULD GOD WANT?? RESOLVED, We as CURE (Citizens for Responsible Education, a National Coalition Against Common Core) ask that the Southern Baptist Convention and all decision makers in the organization open their doors for us to educate and reach as many people as possible in as short time as possible…We thank you in advance for your genuine attention to this urgent matter. We are STANDING IN THE GAP and pray you will join us. Co-Founder: Southern California Tax Revolt Coalition, Inc.
How Did the Gates Foundation Allocate $150 Million to Common Core? For an initiative billed as being publicly driven, the Common Core States Initiative has benefited enormously from the generosity of the private philanthropy of Bill and Melinda Gates. How much? About $150 million worth. Take a look at this list of grants, obtained from their foundation’s Web site. Note not only the amounts but the wide range of organizations receiving money. Universities. Unions. State education departments. Nonprofits. Think tanks. The grants were given for a range of reasons, including developing materials aligned to the standards and building support for the standards. In Donna Garner’s 5.13.13 article on this subject, she wisely stated: As you read through these grants that Bill Gates gave to “Universities. Unions. State education departments. Nonprofits. Think tanks,” remember which corporation stands to gain the most financially if Common Core Standards (CCS) are implemented throughout the United States – Microsoft Corporation. In other words, a corporation that stands to gain billions from CCS is owned by the private philanthropist who has been driving education policy. This is called “a direct conflict of interest” by a vendor who is working alongside the Obama administration to create education policy to federalize standards, curriculum, assessments, teacher evaluations, and a national database of intrusive personal information. The end result would be billions for Microsoft and the indoctrination of our nation’s school children into Obama’s social justice agenda. As someone who has followed the grim progression of Common Core Standards which is the Obama administration’s takeover of the public schools by the federal government, I thought it would be interesting to provide a breakdown of the roughly $150 million ($146.6 million) in grants for the Common Core Standards. The Bill and Melinda Gates Foundation (Gates Foundation) is clearly the major sponsor of the Common Core Standards Initiative (CCSI). The largest category by far is “Think Tanks,” which garnered about $67 million or 46 % of the $147 million total. State Departments of Education received $22 million or 15 % of the total. The other categories obtained 3 – 12 % of the total. The lion’s share of the Gates Foundation Common Core grants were directed to Think Tanks. The Gates Foundation spent major dollars on Think Tank organizations that are advocating CCS and developing Common Core materials. As a group, Think Tanks obtained about $67 million (46 % of the Gates Common Core $146.6 million total). Clearly, the Bill and Melinda Gates Foundation is utilizing Think Tanks to promote the Common Core agenda. Because the Think Tanks played a huge role in shaping education policy, it should not surprise us that they received much of the Gates Foundation funding. By driving education policy, the Gates Foundation will control what happens in the local classrooms. The Gates Foundation issued about $22 million in grants to the State Departments of Education. Gates singled out the Kentucky DOE for $12.028 million (54 % of the State DOE total). The Louisiana DOE received around $7 million (33 % of the State DOE total). An assortment of National Associations obtained mostly small grants from the Gates Foundation. Together, they received $17.6 million (12 % of the total). The two major teachers’ unions (NEA and AFT) grabbed 31 % of the National Association total. Seven universities obtained grants totaling $12 million from the Gates Foundation. The largest recipient was the University of Arizona at $3.4 million. The Common Core Standards Initiative has been led by the Council of Chief State School Officers and the National Governors Association. Not surprisingly, the Gates Foundation provided $11.5 million in funding to these organizations. Gates gave grants to four Institutes, with the largest amount ($5.5 million) going to the James B. Hunt Institute; $3.6 million went to the Aspen Institute. Common Core supporter Thomas B. Fordham Institute received almost $1 million. The Gates Foundation sent about $5 million in funds to local school districts and local/state organizations. What did $150 million in grants to the Common Core do for Bill Gates? For one thing, these grants bought a great deal of control over education policy in this country. This means that a man who owns a private corporation is directing public policy that will control what is taught to millions of students in their local classrooms. Gates believes in the ideology enshrined in Common Core, and he knows money talks. With many organizations clamoring for Bill Gates’ grant funds, they are more than willing to promote whatever he wants; and he likes the Common Core agenda. The Common Core Standards will require huge commitments to technology. According to the Pioneer Institute, the 46 CCS states will need to spend $6.9 billion for Technology to implement CCS. Of course, not all of that money will be for computer hardware and software, but the computer portion will be substantial. As the co-founder of Microsoft Corporation, William “Bill” Gates has strong ties to the corporation. He is the former CEO and is its current Chairman. Bill Gates is the largest individual shareholder of Microsoft, with 6.4 % of the common shares. Under the Common Core computer demands, Microsoft stands to gain immensely. It seems obvious that Bill Gates is involved in a classic conflict of interest situation. Through the Gates Foundation, Bill Gates is actively supporting and promoting the Common Core. Microsoft will greatly benefit from the huge increase in technology spending required by the Common Core. Do we need to say more? Sen. Dan Patrick has taken the CSCOPE issue very seriously (please see his Facebook link posted further on down the page), and I appreciate his efforts on that education issue. To be totally honest, it is SB 6 that was passed during the last legislative session and supported by Sen. Patrick and other legislators which opened the door to the proliferation of CSCOPE and other inferior and out-of-alignment curriculum throughout our state. Under SB 6, these materials can be purchased with taxpayers’ dollars at the local level without their having to pass through the organized and public review process of the elected members of the Texas State Board of Education. 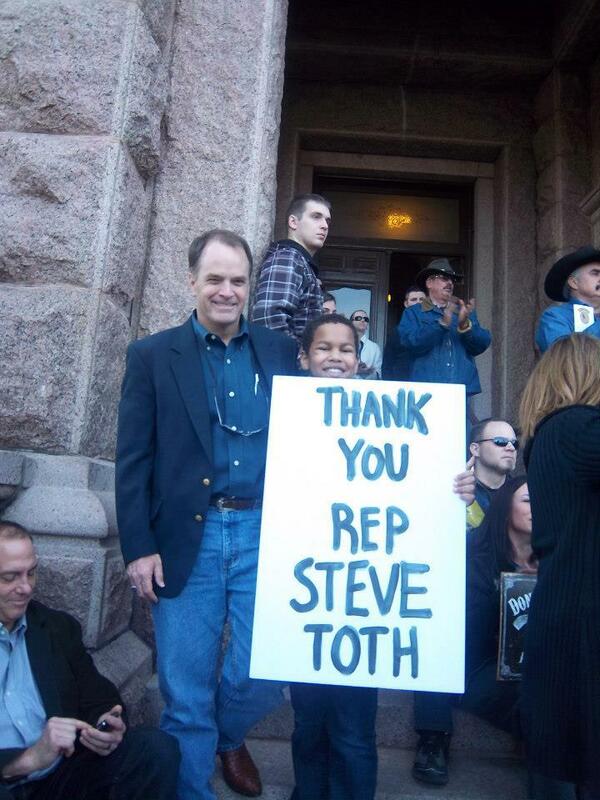 What makes that SBOE review process so important is that it is done publicly! First, the IM (instructional materials such as textbooks, etc.) are made public; and copies of the IM with page numbers, lesson unit numbers, and other identifiers are made available so that people who review them can designate problem passages along with the exact reference points. The hard copies of the IM make it possible for evaluators to cut/copy/paste exact passages onto a WORD document along with reference points and evaluators’ comments, expediting the ability for all concerned to be able to discuss the same passages with one another. In contrast, CSCOPE materials are a hodge-podge of various pages; they are not consecutively paginated; the pages are erratically formatted with small and hard-to-read print, making it extremely difficult to read online. Because of the way CSCOPE is formatted, an evaluator cannot cut/copy/paste troublesome excerpts from the online site in order to put those passages into a WORD document along with proper documentation and page references for ease of transmittal to other committee members. How can committee members discuss the problem verbiage if all of the members cannot easily locate the same passages at the same time in the CSCOPE lessons? Before any review can be done by anyone, including the SBOE, CSCOPE must provide their materials in print form with consistent formatting for ease of reading and with the ability for reviewers to be able to cut/copy/paste questionable passages onto a WORD document with accompanying documentation and reference points. Until CSCOPE provides the materials in a workable format with pagination and reference points, it is useless for anyone to try to review the lesson content. 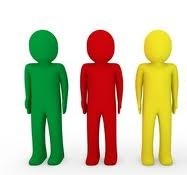 Simply putting the CSCOPE lessons online will not allow for the free-flow of discussion among the evaluators. The good of the SBOE public review is that it will do just that – make the CSCOPE lessons public. Then the public can testify, offer their concerns along with documentation, and discuss with the SBOE in open session the various passages. This is the advantage of putting CSCOPE under the purview of the SBOE: transparency. Once the problem passages are identified, they should be submitted to CSCOPE; and if the normal textbook adoption process were in place, any problem passages left in the CSCOPE lessons would accrue a sizeable penalty. Wouldn’t it be nice if those penalties had to be paid out of the pockets of the CSCOPE directors who allowed objectionable passages to remain in the lessons? 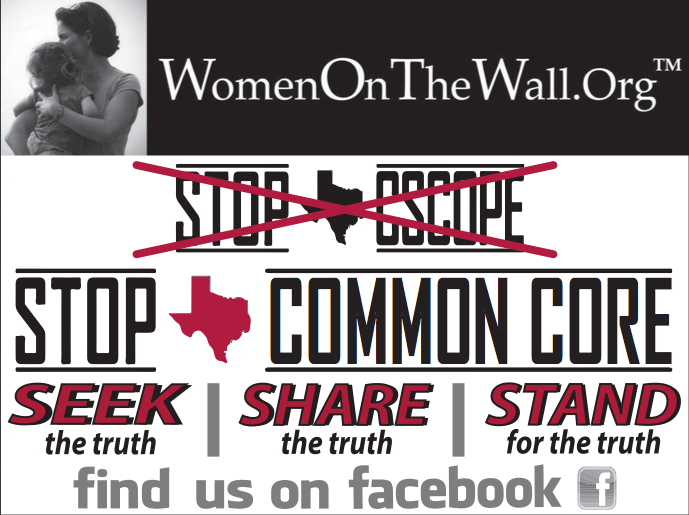 Texas Mom says NO to CSCOPE ~ Read WHY!! CSCOPE is not right for Rockwall schools. I am the parent of a kindergartener (with 2 more kids who will one day attend Rockwall schools) and I have a master’s degree in secondary English Education from Columbia Teacher’s College, where I studied several of the names brought up in arguing against CSCOPE. I also taught 9th grade English for several years in New York City’s public schools. 1. The money flow. It is paid for with tax dollars, yet we must lease it every year? And what exactly do we get? My friend and neighbor wants to help her son struggling in math, yet there is no textbook and she has very limited access to the curriculum. 2. CSCOPE is poor in quality and substance. From the grammar mistakes to tests and “assessments” not aligning with the material that the students are taught, this curriculum or curriculum management system is a waste of money. Our students (my children!) deserve better. 3. 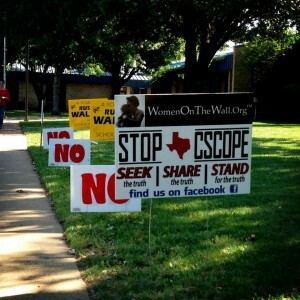 CSCOPE is rife with misrepresentations and secrecy. Why do we need HB 760 to force it to be transparent? 4. It is harmful to students. The poor quality and scripting ignores the needs of students who are struggling. Even students who are not struggling may mentally “check out” when presented with tests and other curriculum materials full of errors. 5. The ideology. Now, I am fully aware that we live in a large, diverse world, and our students need to know about it. My concern here is the timing. My friend’s 5th grader had a lesson where he needed to design a communist flag. I think students need a solid foundation in US history in elementary school before they expand their worldview in the higher grades. 6. CSCOPE devalues our teachers. Scripted lesson plans and frequent evaluations disrupt the many wonderful things that happen in our classrooms. 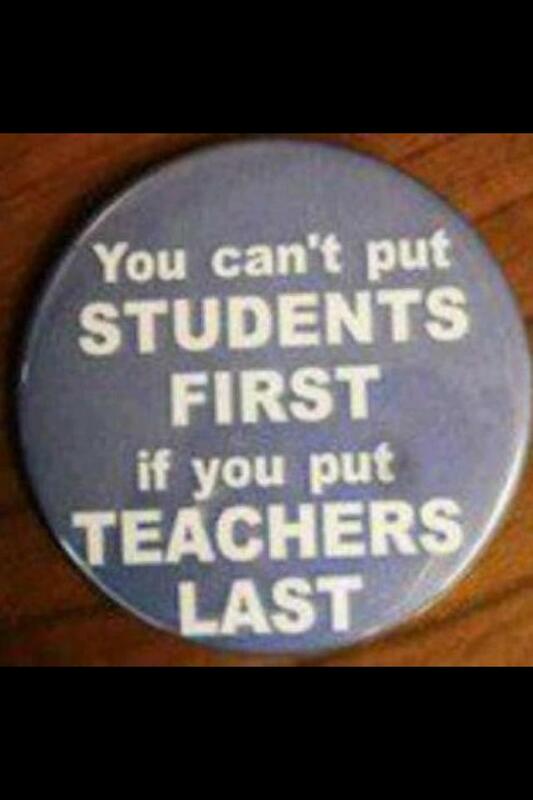 We have good teachers and we need to let them teach. I thank those of you who have kept reading. (And this is the BRIEF list of why I don’t like CSCOPE!) Now I am not going to complain without proposing a solution. I think we need to give the power back to the teachers in our community. If we really need a curriculum management system, let’s create our own like the Highland Park ISD. It may cost more money in the short run, but in the long run it will save money and improve the quality of education in Rockwall ISD. CSCOPE is here, it was a mistake, and now it is time to correct the mistake. I am voting for school board candidates that I believe will correct this mistake and move Rockwall forward. 5000 Pages of documents arrive after threat of a subpoena earlier in the week from Senator Patrick. AUSTIN—Over the past several months, Senator Dan Patrick, Chair of Senate Education, and a vocal critic of the CSCOPE program, has asked for detailed financial information from the TESCCC and the 20 Board members who sell the CSCOPE lesson plans to nearly 900 school districts statewide. After becoming frustrated with a lack of response for the detailed financial information, Senator Patrick sent a letter earlier this week to all 20 participants in CSCOPE saying he would request a subpoena for this information if his committee did not receive it before today at 5 p.m. Late this afternoon the Senate Education Committee office received over 5000 pages of detail dating back 5 years on each CSCOPE region. “I’ m glad that the CSCOPE board finally recognized that they must respond to our request for detailed financial information,” said Senator Patrick. “I only wish I didn’t have to threaten a subpoena before getting this information,” added Senator Patrick. “For some reason the board at CSCOPE believes they are above open disclosure and total transparency to parents and legislators. Over the past year CSCOPE directors have fought back against requests from parents and others for information. They had used the non-profit corporation that they set up several years ago as the reason claiming they were not a public entity. The very first question Senator Patrick asked the CSCOPE witnesses in committee in January was about the non-profit. Good news gang! I just got off the phone with one of the NEW ECISD school board members, Doyle Woodall. He is going to be asking for a complete audit of CSCOPE spending! Last night we threw 4 incumbents out! It looks like the pro-CSCOPE “interim” Supt. might be on the way out. 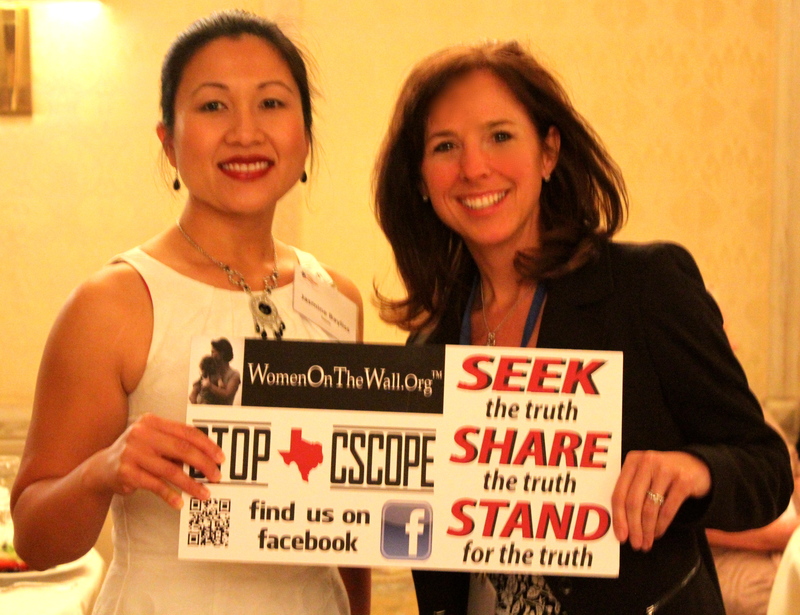 Let’s see…The very people who run CSCOPE admitted at TX SENATE HEARINGS many of the facts that these great patriots [citizens against CSCOPE] have alerted taxpayers to many months ago! If there were no problems with CSCOPE why have the ESC’s flown in to overdrive to pull lessons, revamp their website, redefine back & forth whether they are curriculum or not? Most normal people can only conclude that you [ESC staffers, TESCCC/CSCOPE personnel, etc.] must have a financial interest in seeing CSCOPE continue. 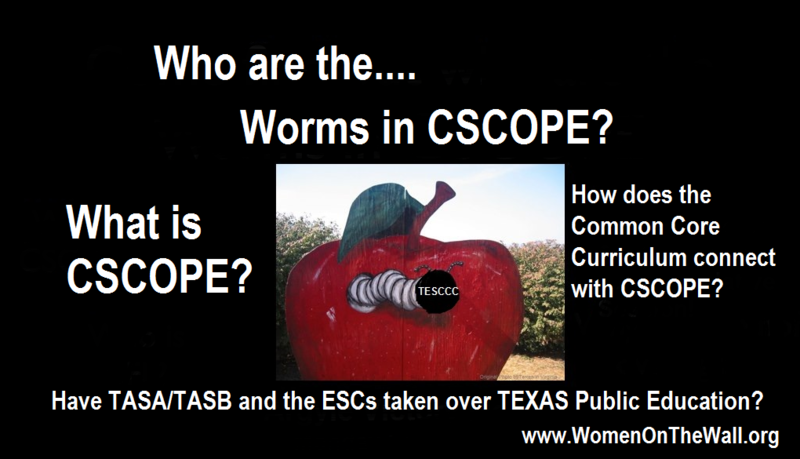 And you are right CSCOPE was “not a private, for-profit vendor” it was a PRIVATE non-profit corporation (TESCCC). Hmmm. TESCCC created a multi-million dollar piece of “intellectual property” with NO expenses, NO income, NO employees, NO offices. FACT: their own testimony is that they used ESC employees and resources to develop CSCOPE. Taxpayers paid for the development of CSCOPE for the privilege of then paying for it again through charges to each of the school districts who BOUGHT it. Is Bernie Madoff the Chairman of the Board of TESCCC? Trustee Steven Jones backed both men and also endorsed Norma Gonzales, who was unopposed for the District 6 seat. After Jones won his seat two years ago, he led a growing minority of trustees intent on overhauling district curriculum and reducing bilingual education in the heavily Hispanic district. He clashed often with Superintendent Dana Bedden. More senior trustees voted to censure him last month, accusing him of trying to undermine Bedden. If Mosty, Randle and Gonzales are seated, Jones and his allies will control all but one seat on the seven-member school board. All three candidates want to take a hard look at CSCOPE, a third party curriculum package Bedden introduced. The district’s bilingual education program is also likely to change, with more focus on English immersion. 5.11.13 – GOOD NEWS FROM STAN HARTZLER, LULING ISD SCHOOL BOARD — Stan Hartzler, a leading critic of CSCOPE and a teacher who quit his job rather than continue to teach CSCOPE, has just been elected to the Luling ISD School Board. 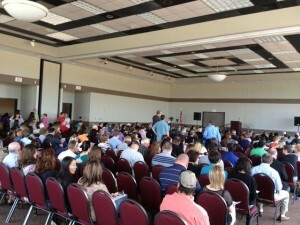 She [Anne Poplin, Executive Director of ESC 9 in Wichita Falls] also announced that the Texas attorney general sent letters out to all districts Monday telling superintendents that they must not charge parents for copies of CSCOPE lessons. Some districts had charged parents hundreds of dollars for paper documents of materials used in their children’s classrooms. Frossard [Wichita Falls ISD Supt.] also announced that his chief academic officer, Tim Powers, who brought CSCOPE to the district, will retire in December and begin doing special projects only starting July 1. Frossard will hire Powers’ replacement to start July 1, he said. Frossard said he seemed to be the only person asking when CSCOPE would lower its prices to districts. “Once they recoup the development costs, they should bring the price down. 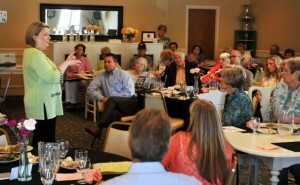 (The price) is a barrier to stay with CSCOPE,” he said. BISD (Brazosport ISD) just ousted two incumbents this election as well! The Board President is especially shocked as she had stayed a staunce CSCOPE proponent since March when the community grew very concerned. She called us misinformed and misled. I think she is in disbelief we got her out!!!! We now have two members who are against CSCOPE on the board and are already looking to replace the two up for re-election next year! Stay Strong Texas!!! 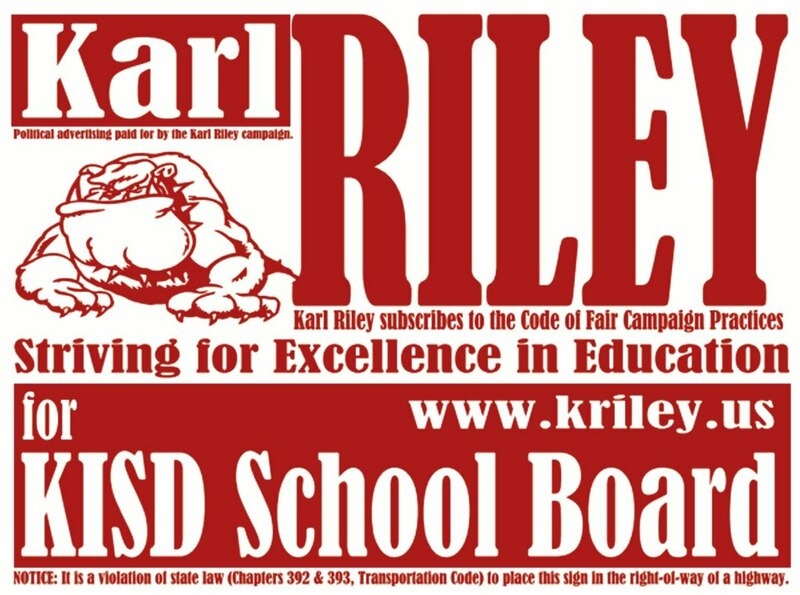 Election Success: Kilgore ISD elected Karl Riley, an anti-CSCOPE candidate in the only contested race. Awesome work Kilgore Parents and Community Tax Payers!! Your voice has been heard!! You Rock!! Congratulations Karl Riley! I am happy to report that Montgomery County Independent School District has made the right decision in not renewing their CSCOPE contract, just after one year of purchasing it from Texas Education Service Center VI. Dr. Beau Rees, superintendent of Montgomery ISD obviously is listening to teachers and the community in regard to the controversy and concerns about CSCOPE. Hats off to you Dr. Rees. Our children will benefit because of your decision.